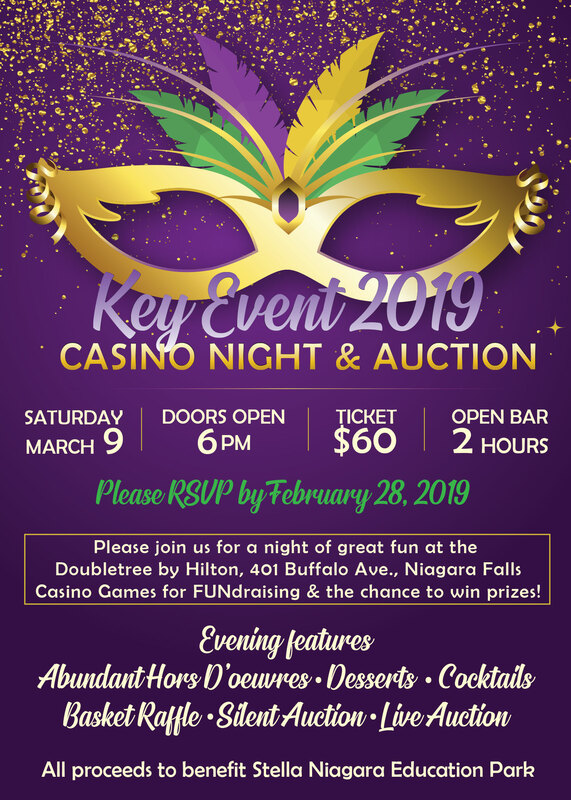 Please join us for the 2019 Key Event, Stella Niagara's major fundraiser, on March 9, 2019 at the Doubletree by Hilton, Niagara Falls, NY. This year's event will be a Casino Night, featuring fun Casino games, raffles and a live auction! The evening will feature hors d'oeuvres, desserts, coffee and a cash bar. Ticket price is $60 per person. Contact Amy Reynolds at areynolds@stella-niagara.com or 716-754-4314. We hope you can join us for an exciting evening of FUNdraising! If you do not have a Paypal account, select the white checkout button on the next page and you will be able to pay with a credit card!